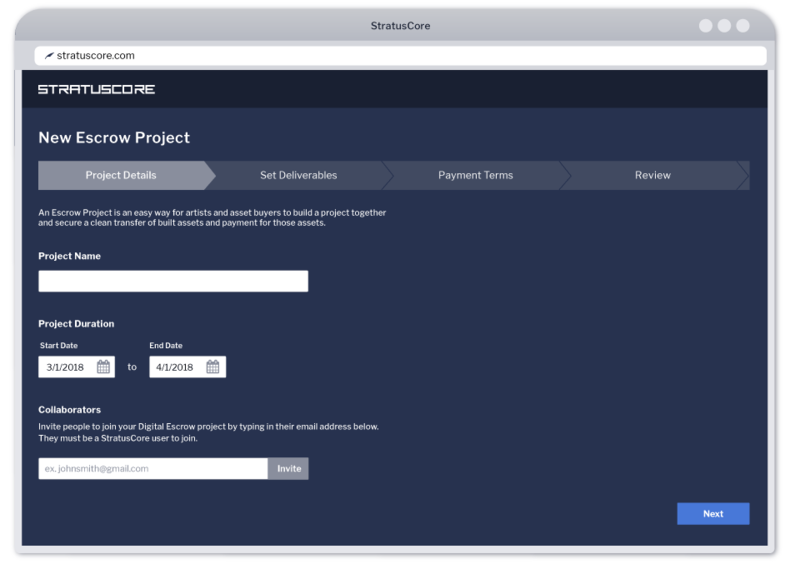 StratusCore’s Digital Escrow service is an easy way for artists and asset buyers to build a project together and secure a clean transfer of built assets and payment. Artists can feel assured that they will be fairly compensated in a timely manner, and buyers will feel confident their content will be delivered as expected and on schedule. For this month only we're waiving the project setup fee — now $10 — is free for you for a whole month! Sign up to start a project. If agreed upon conditions are met, content is released to the buyer and payment to the artist.